Mazda has created one of the most beautiful shapes in the compact hatchback segment, its new Mazda3 hatch, a shape that lifts it above any competitor in terms of design. It has a pretty face, nice sides, and a unique rear end that lends it a lot of personality, but at the same time, it also needs to do all the boring, practical stuff well in order to be a serious class contender. 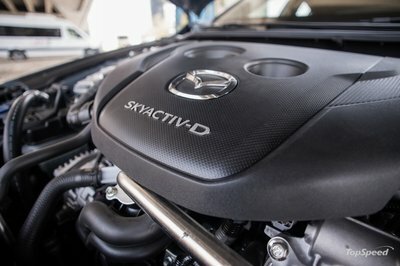 Its interior feels upmarket, and the driving experience is precise and relaxed, especially if the power plant under the hood is Mazda’s latest diesel engine, still available in the 3 and other models the Japanese manufacturer sells in Europe. This latest model doesn’t feel as sharp as its predecessor nor is it the best in class, but it’s far more relaxed and refined than the car it replaces, and it exudes an overall desirable and premium feeling. The car it replaces was a great all-rounder, although it suffered from excessive tire roar inside at speed (and generally not the best soundproofing), plus its interior didn’t feel as nice as some rivals’, and it also lagged behind in terms of tech. Mazda has addressed all these concerns and more with its new 3, and the result is a much better all-rounder with an even prettier face than before, plus that rear end that will sure to draw a lot of gazes. 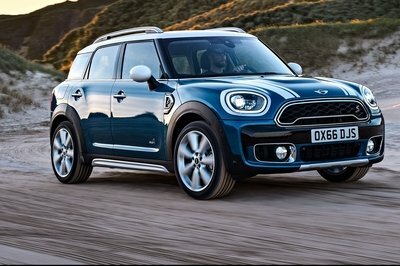 You can now get the current MINI Cooper in three distinct body styles: the traditional three-door, the Clubman wagon and, the most recent addition, the five-door hatchback (known as the four-door in the U.S.). It aims to offer additional practicality over the standard MINI, but at the same time avoid the slightly more utilitarian feel of the Clubman load lugger. But is it really the best of both worlds – the sharpness of the smaller wheelbase MINI with some extra practicality but without any extra burden to carry? Well, yes and no, because while it is a very valid MINI product to consider buying, I don’t think it has quite enough going for it in order to win out over the three-door and the Clubman. Don’t get me wrong. The five-door Cooper, with the Sport Pack fitted, is a hoot to drive. It has all the usual MINI traits that people just can’t get enough of, but out of all the models the lineup has to offer, I’d probably just ignore this one and just get the three-door. It has the sharpest handling, the lowest weight and, therefore, the best driving experience. If you can’t live without four full-sized doors and don’t want the Clubman wagon, then buying the five-door Cooper can be a good compromise, as you’d be getting the modern MINI recipe, with a dash of extra practicality. The driving experience is very close to that of the three-door, and for most drivers that are not motoring journalists or driving enthusiasts (or both), the difference will feel nonexistent. 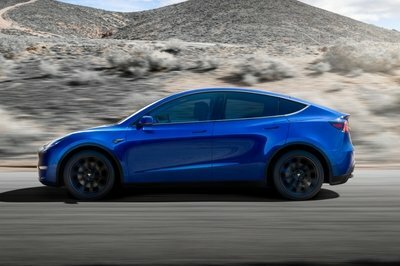 The most anticipated electric mid-size crossover, the 2020 Tesla Model Y, was finally revealed at the dedicated event in Hawthorne, California, Thursday night. 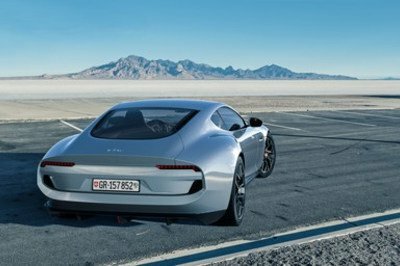 It immediately took the Internet by storm to reinvigorate a whole new variety of potential electric vehicle buyers. 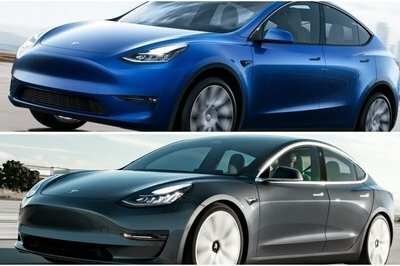 With the reveal of the new mid-sized crossover, the most ubiquitous and recognizable Tesla, the Model S, is threatened to lose that imaginary title to the new Tesla Model Y. Elon Musk, who showcased the new Tesla, predicted the Model Y’s demand to be double that of the Tesla Model 3. And that one is the best selling luxury sedan in the U.S. However, the 2020 Tesla Model Y may not be as revolutionary, or even evolutionary, as some of us have hoped. Despite the Model Y’s clear similarities to the Model 3, the new electric crossover is quite exciting, and I’m here to give you all the astounding facts about it. Designed by the team headed by Achim Anscheidt, Bugatti’s Director of Design, the 2019 Bugatti La Voiture Noire represents the ultimate execution in coach building. The hand-made grand touring hypercar is the contemporary reimagination of what the iconic Type 57 SC Atlantic La Voiture Noire was in the Thirties. With a monumental responsibility to live up to the status of the most valuable classic car on Earth – the ghostly figure of the Bugatti Type 57 SC Atlantic that belonged to Jean Bugatti – the new 2019 La Voiture Noire employs numerous unique peculiarities. I will tell you all about the most refreshing, strangest, and most incredible facts of the new Bugatti La Voiture Noire. Sometimes, this job comes with some pretty cool perks. 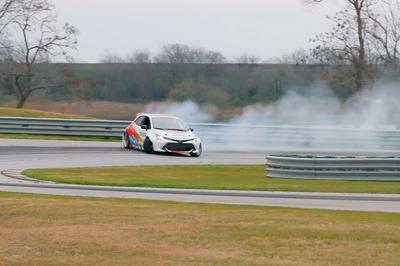 Last week, during my visit to Savannah, Georgia, where I drove the 2020 Toyota Corolla Sedan, Toyota had a little surprise waiting for me – a ride-along with Ryan Tuerck in his mind-altering Corolla Hatch drift car. Suffice to say, the experience made quite the impression on me. 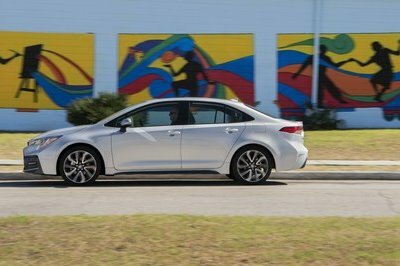 Toyota just introduced the twelfth-generation Corolla Sedan for the 2020 model year, and while the latest generational changeover brings a long list of updates, one of the biggest is the addition of a hybrid powertrain option. 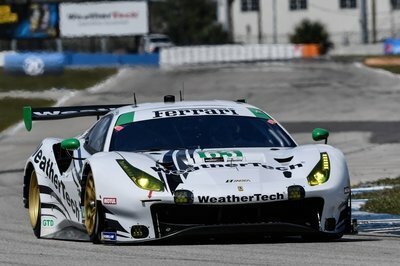 But why would the hybrid be our pick when there’s a new, more powerful 2.0-liter offered as well? Read on to find out. First rolling off the production line in 1966, the Toyota Corolla has been around for over five decades. 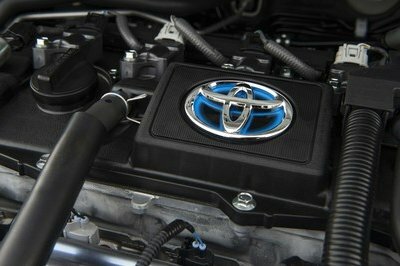 In 2013, Toyota celebrated an astonishing 40 million units sold for the nameplate, which makes it the most popular car in history. 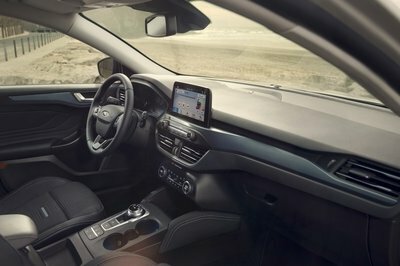 Now there’s a new twelfth generation for the 2020 model year, and it offers refreshed styling, a new interior stuffed with a wide variety of technology and features, a new architecture, and a new Hybrid trim level, all at a reasonable price point. However, with SUVs and crossovers dominating the sales charts, does the 2020 Toyota Corolla have what it takes to carry the torch for the sedan segment? To find out, I flew out to Savannah, Georgia, to experience it first hand, all courtesy of Toyota. Heavy-duty truck wars are well underway. 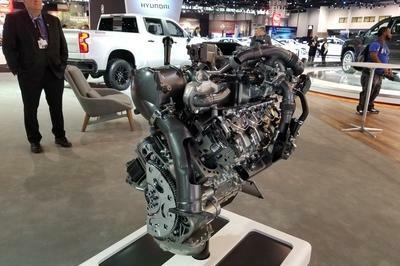 Although the Ram HD and Ford Super Duty are rather well geared for it, it seems that the new 2020 Chevrolet Silverado HD just beat them to the punch in some segments. This is an all-new truck and is a huge improvement over the outgoing model. As such, I’ve compiled a list of facts that will shed some light on the new 2020 Chevrolet Silverado HD. They will teach you why the new HD is a behemoth that sits at the very top of the truck segment. We recently had a go with the 2020 Mercedes-Benz GLE 350, and suffice to say, the infotainment system is dense. 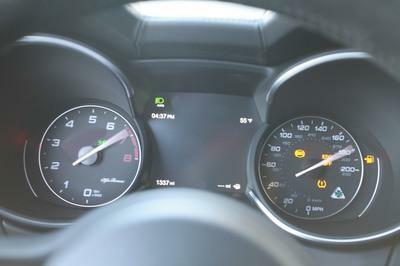 There are menus upon menus to scroll through, with options offered for customization of just about every vehicle parameter imaginable – and a few we’d never dream of. Which begs the question – at what point is it all just too much? The 2020 Toyota Supra made its highly anticipated debut at the 2019 Detroit Auto Show. 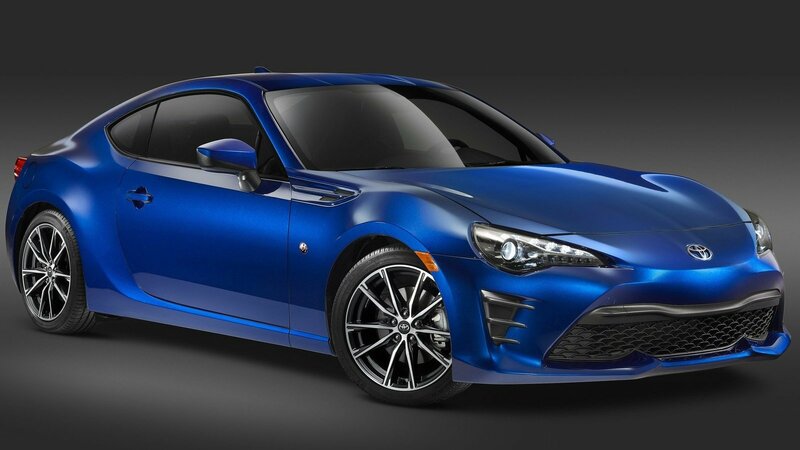 While some were anxious to meet the BMW-based coupe, most die-hard enthusiasts weren’t pleased that the successor to the iconic fourth-gen Supra doesn’t have pure Japanese engineering. Now that all the commotion is over, it’s time to see how the Supra compares to its rivals. 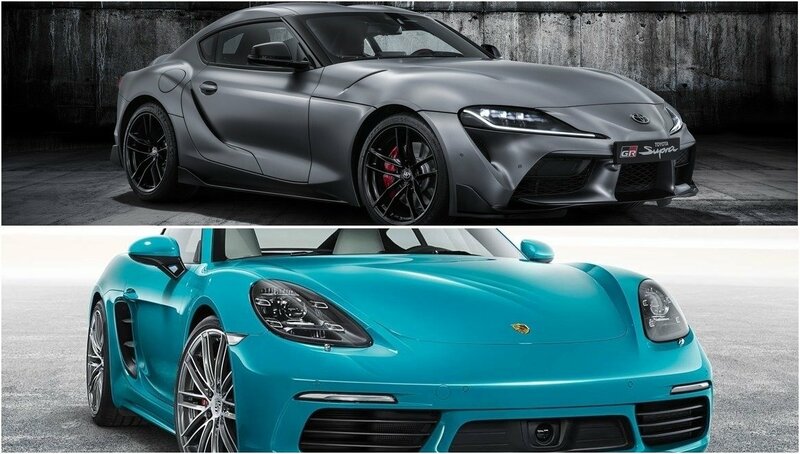 Now that the coupe is smaller, it’s well-suited to take on the Porsche 718 Cayman. Let’s find out if it stands a chance. 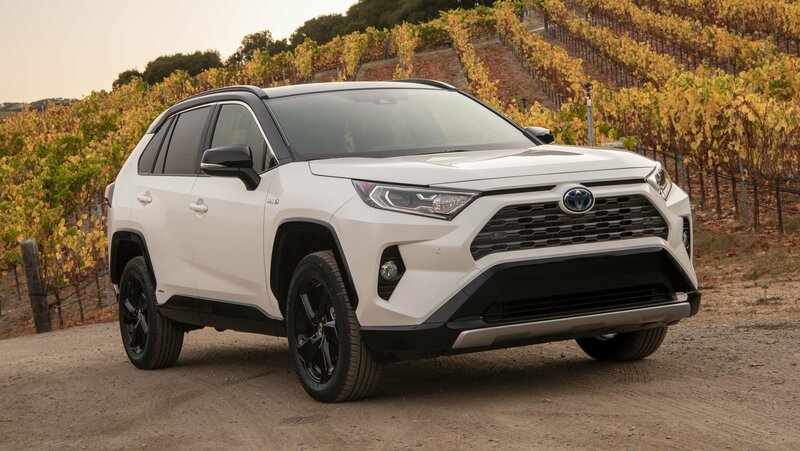 As one of the most anticipated Toyota vehicles in recent years, the newest 2019 Toyota RAV4 debuted as a completely redesigned model. With an all-new exterior, new modern-age interior, and more tech than ever, the new RAV4 managed to jump up the highest step in the imaginary hierarchy of the compact SUV segment in one swing. Safety was paramount for Toyota engineers, and the new RAV4 now has a full safety suit as standard. This includes features like automatic emergency braking, adaptive cruise control, and lane departure alert with steering assist. No other similar car has a safety suit as comprehensive as the one in the Toyota RAV4 in its standard form. Regardless of all the imaginable family-friendly features, the Toyota RAV4 somehow managed to stay cool with an appeal that never ends. Now, I’m going to give you 12 awesome facts about the new 2019 Toyota RAV4. The stereotypical view about driving in the U.S. (propagated by people who’ve never actually been Stateside) is that it’s mostly wide, straight roads that make huge pickups seem small and where people drive their cliché muscle cars mostly straight and occasionally turning to the left. But America has innumerable awesome driving roads scattered across its vast territory, breathtaking roads with great tarmac and scenery, and there are plenty of people in the U.S. who prefer a good handling car over a big, powerful bruiser that resents corners. This listicle is for them as it tries to concentrate the 12 best handling performance cars that you can buy for under $100,000 (some of which falling well under that figure). You may also be surprised to note that two of the cars in the list below are by all definitions actual muscle cars, yet in their current incarnation they have a lot of sports car DNA and they thoroughly deserve their place on this list. When first doing research for this list I thought it was going to be tricky to get ten cars that fit the bill without resorting to filling the list with hot hatches. But thankfully, the $100,000 cap proved sufficient to include plenty of cars that may be quite diverse, yet they’re all known for their excellent handling. The fact that some of them are also really fast in a straight line and still come within budget is a bonus.